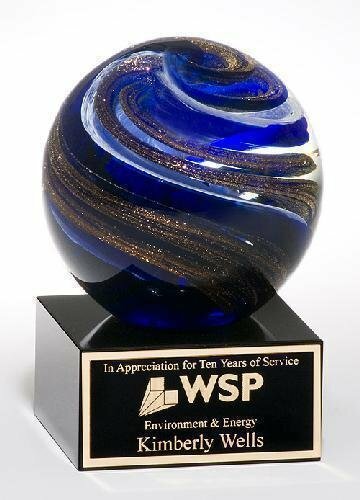 Egg-shaped art glass award on black glass base. These glass awards are packaged in satin-lined and padded gift boxes. 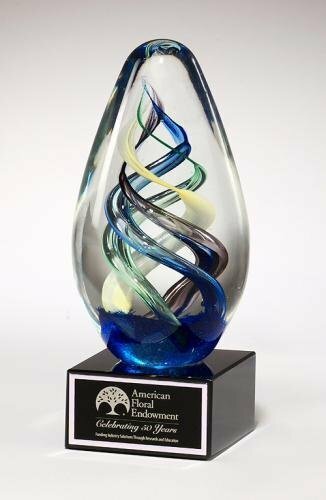 Art glass awards are hand made; air bubbles and color variations are common. 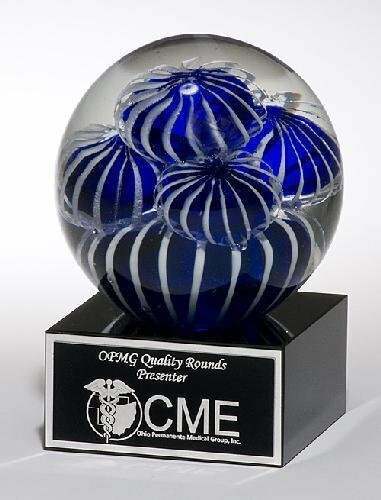 Art glass award globe with blue and white sea anemone design on black glass base. 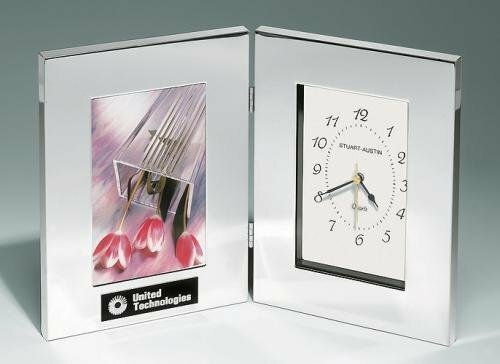 These glass awards are packaged in satin-lined and padded gift boxes. Each piece of art glass is made by hand, air bubbles and color variations are common. 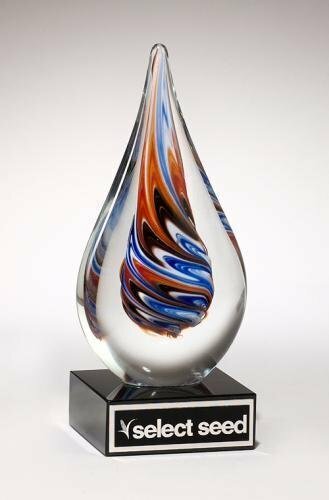 Teardrop-shaped art glass award on black glass base. These glass awards are packaged in satin-lined and padded gift boxes. 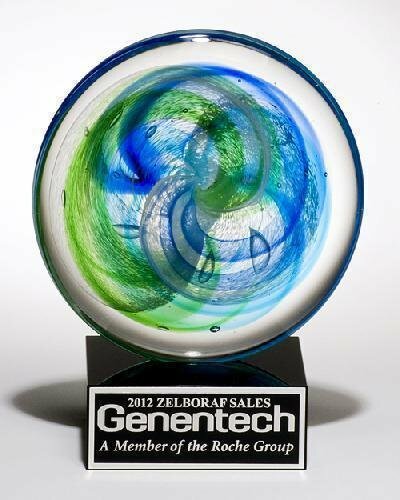 Art glass award disk with blue and light green accents on black glass base. 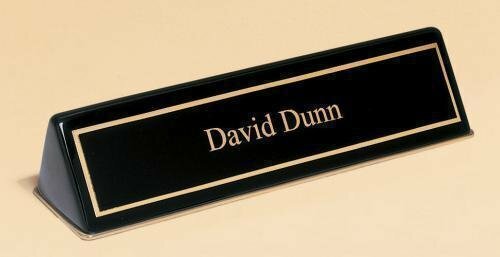 These glass awards are packaged in satin-lined and padded gift boxes. Each piece of art glass is made by hand, air bubbles and color variations are common. 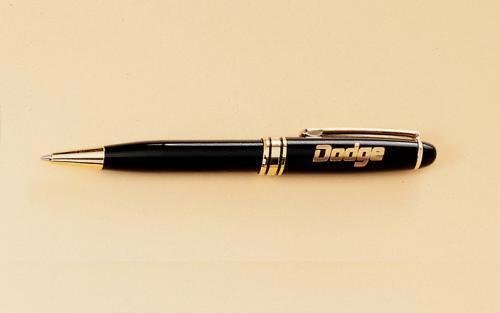 Mechanical pencil, black finish, solid brass cap and barrel. 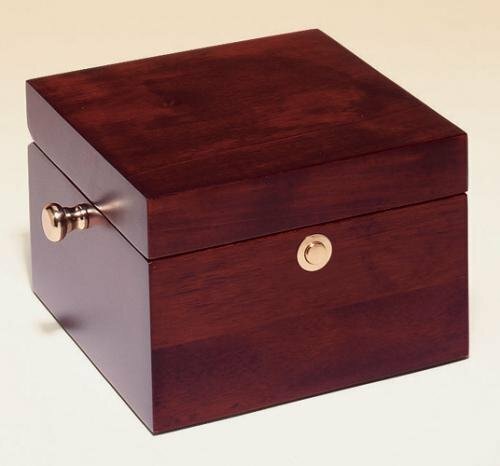 Packaged in a 2 piece gift box with a gold top and black bottom. 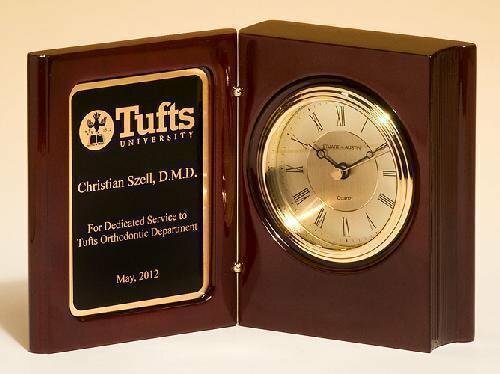 Polished silver aluminum clock. 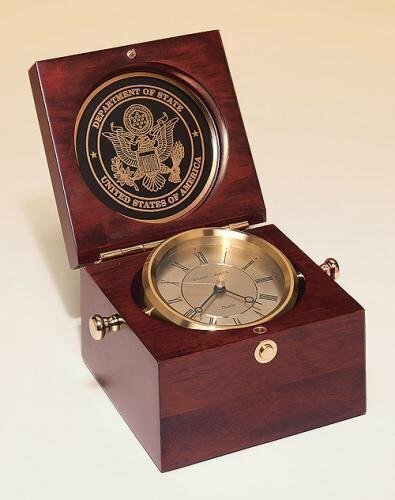 guaranteed quartz movement, Batteries included, and Individually gift boxed.